We provide life-enhancing activity vouchers to people who are in therapy for mental health related reasons. You can help us by donating, fundraising, volunteering, attending events or registering as a support service. 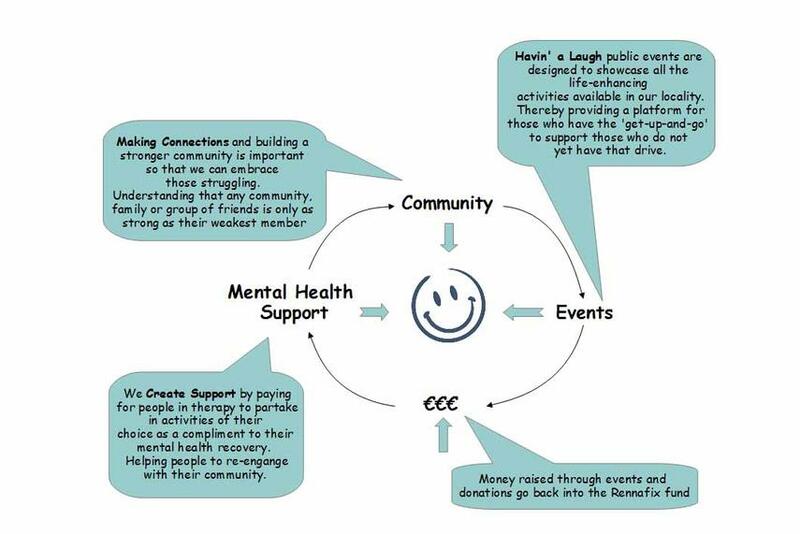 The ethos of Havin’ A Laugh is to promote participation in all forms of life-enhancing activities to improve personal mental health. 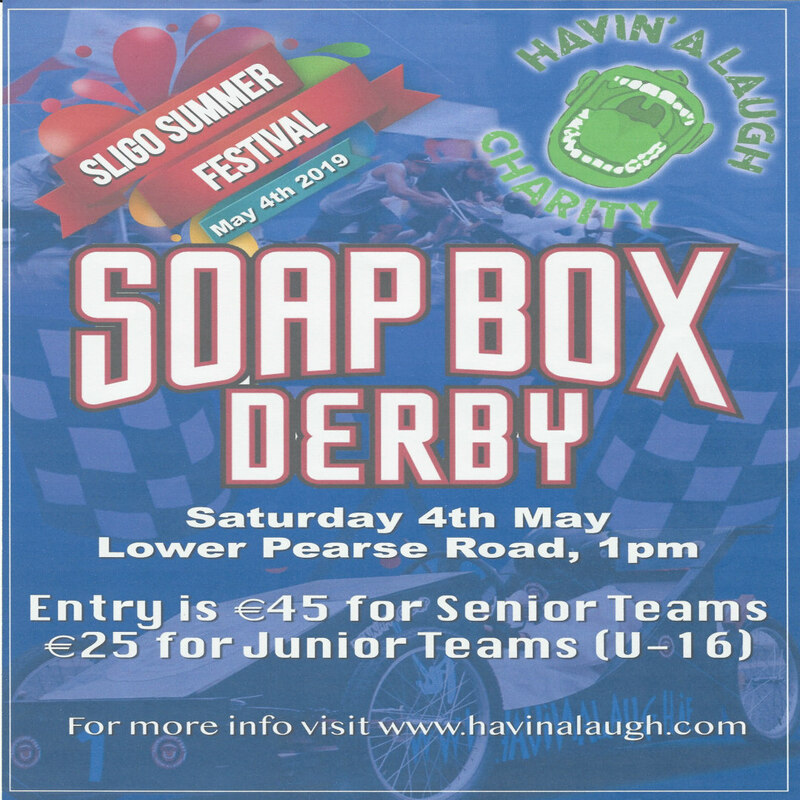 Sligo’s 5th soapbox derby will be held on Saturday 4th May 2019. 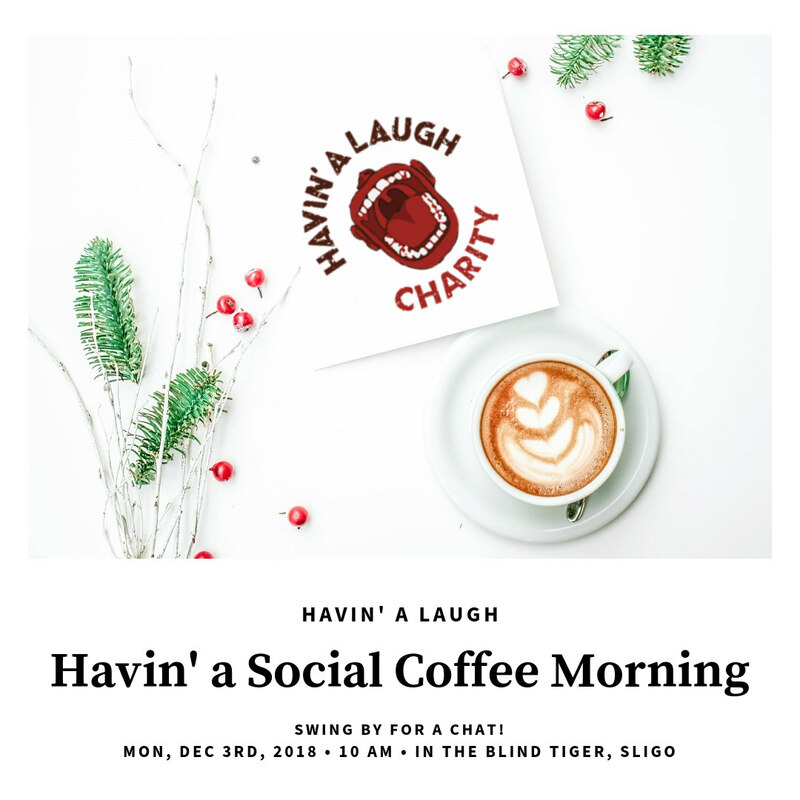 Coffee morning in the Blind Tiger, Sligo at 10am on Monday, 3rd December. Everyone welcome, swing by for a chat! 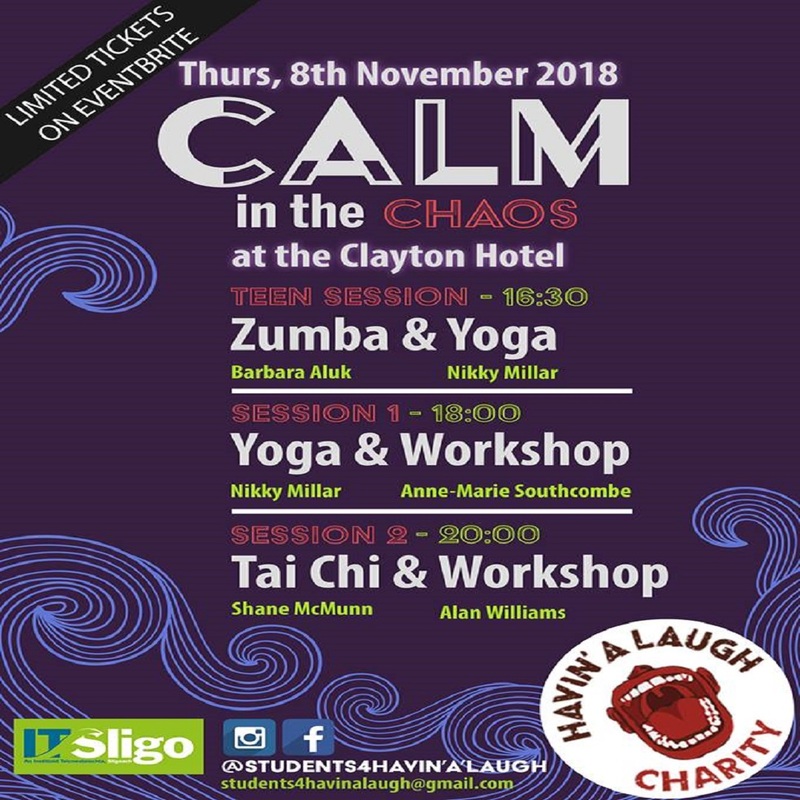 Calm in the Chaos Wellness evening is an event based on life-enhancing activities and services available in the Sligo community. Due to the ever increasing awareness of the positive effects of exercise, the outdoors and community-based activities on Emotional and Mental Health, Rennafix endeavours to subsidize life-enhancing activities to community groups and those seeking counselling and/or therapy. Havin’ a Laugh Charity was established by Rennafix Group to promote positive mental health through life-enhancing activities. We are dedicated to the promotion of life-enhancing activities as essential tools for personal emotional stability and positive mental health. We fund-raise through the creation of events that showcase the life-enhancing activities available in our locality. The ethos of the organisation is that those who are ‘up for it and at it’ have a platform from which they can support those who do not have that drive. Understanding that any community or group of friends is only as strong as its weakest member. 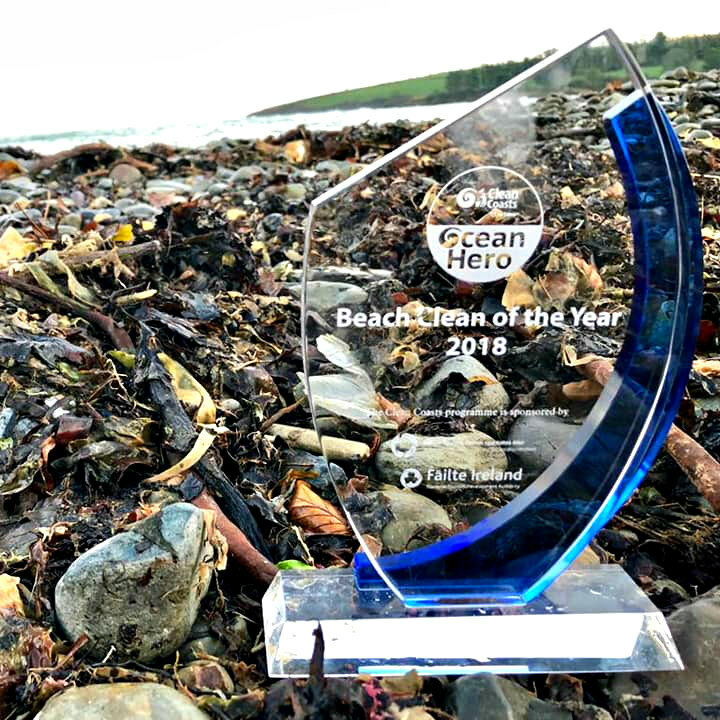 Havin’ a Laugh wins Ocean Hero Beach Clean of The Year Award.